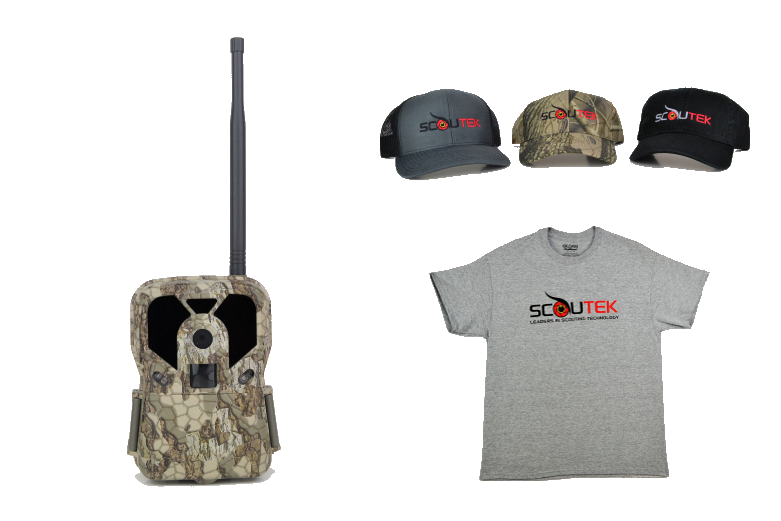 Visit our store to get your Scoutek Certified Cameras and Apparel. Take control of the woods and enjoy the benefits of remote surveillance from anywhere, at any time! 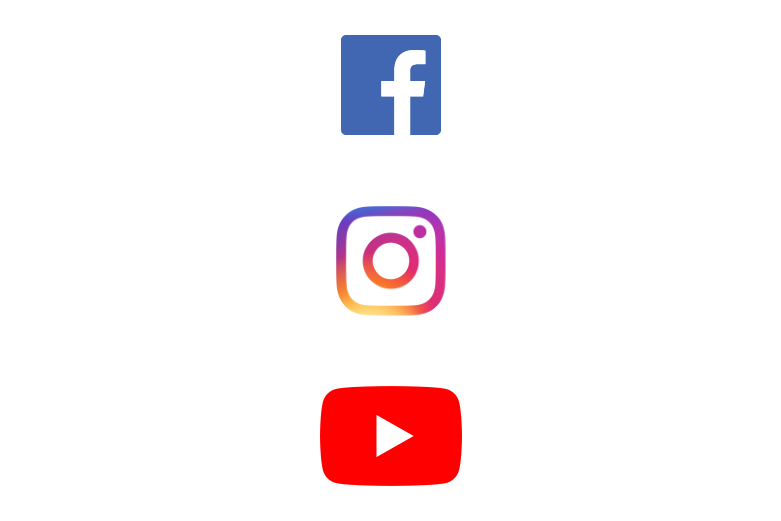 Follow our social media and join the Scoutek Community to stay up to date with the latest Scoutek news! Combine photos from multiple cameras to quickly see which cameras have the most recent activity, or pinpoint specific photos that apply to certain criteria, or both. The choice is yours. Our Advanced photo grouping and filtering makes it quick and easy to sort through thousands of photos from multiple cameras and provides you with the information you need to make the most informed decisions possible. 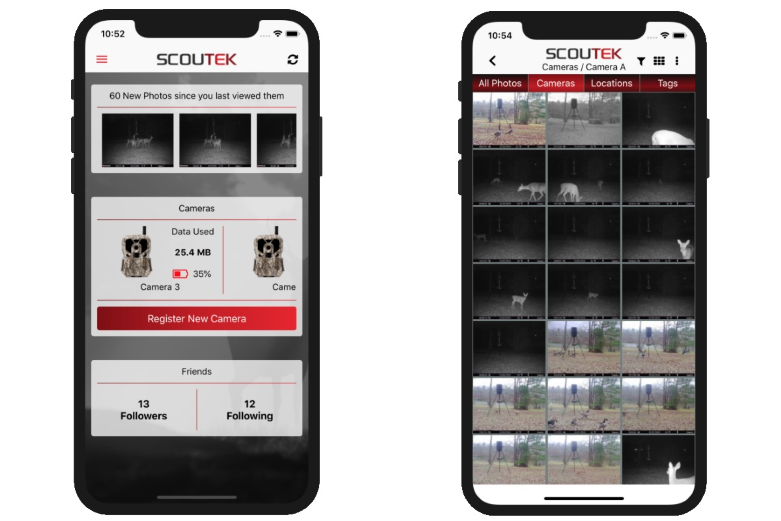 Scoutek offers the ability for friends to share cameras with each other, allowing multiple users to view and manage shared cameras and their photos; the ideal scenario for managing leases, hunt clubs, or any large properties. Scoutek offers various real-time notifications that will keep you informed on what's going on in the woods. You also have the ability to customize your notifications to fit your needs. For each notification you can choose to turn it off, turn it on with no sound, or turn it on with sound; and you can set these values on a per camera basis for all notifications that apply. This allows you to receive only the notifications that are most relevant to you. With Scoutek you can purchase, register, and activate a camera all from the mobile app or website. Our data plans keep things simple, allowing you to choose one plan for all of your cameras to share data from. 1. Company built to constantly redefine the boundaries of scouting technology. 2. The most advanced wireless trail camera software on the market. 3. Provider of excellent wireless trail camera services and accessories, accompanied by a customer service department that is second to none.